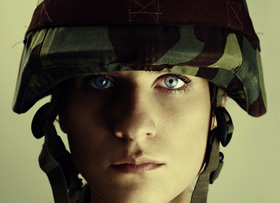 The Defense Sector is a serious subject and a complex sector. It is also one of the biggest industries in the US with a large proportion of the world’s largest companies in the sector located in the US. It’s only natural that clients within the defense sector should demand specialist translators with knowledge of the industry. At The Translation People, we provide exactly that: highly skilled and experience translators that only work into their native language specializing in defense. We ensure that our translators we employ are well versed in the issues, culture and terminology of the defense sector, which is reflected in their work. We find this produces better results and ensures that no nuances are lost in translation. Our ISO 9001:2008 certification means we have the quality management systems to make sure our translations projects run quickly, smoothly and always to plan. We have worked on a wide range of projects for some of the industry’s major players. Each project draws on our equally wide range of specialist services, embracing everything from document translation to technical authoring and highly specialized software localization. We understand that our clients expect more than just high-quality end results. This is why we provide each of our clients with a dedicated account manager to act as a single point of contact for seamless project management. Lastly, because we’ve got the skills and expertise to work in almost any major world language, we make the perfect translation partner whenever your business takes you.